We've just passed the most wonderful time of the year! Long time readers will know my love of the week between Christmas and New Years. It’s that wonderful time when things are slowed down, we’re enjoying friends, family, and our favourite foods. And it’s that time we take a step back and reflect on the past, as well as look to the future. For the end of 2015, I was blessed to enjoy 2 weeks away from the regular routine. That’s vital as it gives the time and opportunity to unwind, disconnect, and focus. Both on work and every other area of my life. It’s also the time of year where a lot of us are reviewing the tools we use, especially those we use to plan and track our priorities and how we’re expending our energies. That’s right … let’s talk notebooks. I’ve always been a hybrid planner, someone who uses a mix of digital and analog tools. For 2015, I used two notebooks in tandem: a Hobonichi Techo for planning/journalling and a Baron Fig Confidant for brainstorming and note taking. Both are excellent and I would recommend them to anyone. The Hobonichi is of especially good quality and has some of the best paper I’ve used in a planner. It’s infused with personality. However, I’m trying a new option this year. While both are great to use, there were times when it was a pain to carry around two notebooks. Or, to forget one completely. 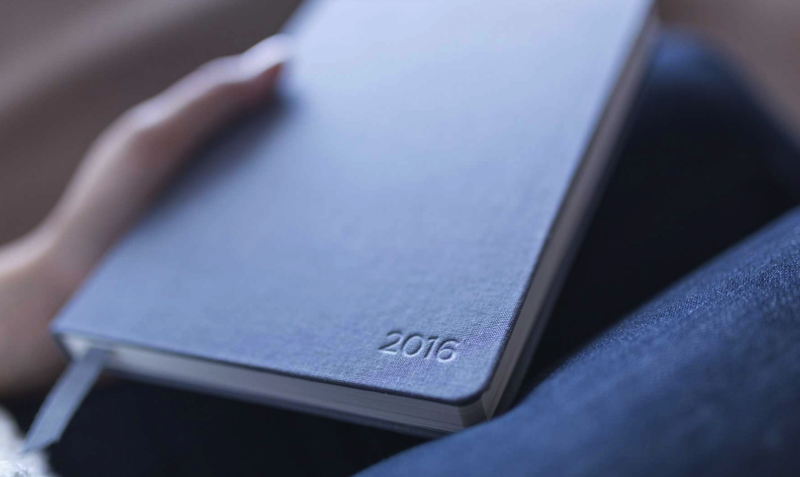 And so this year I’m giving the Baron Fig 2016 Planner a go. It’s two notebooks in one; the front half is the planner, while the back half is the familiar dotted grid of the Confidant. It’ll be interesting to see if the notes section of the planner will last the entire year. I do not take a lot of notes, and I do a good job of making use of all the space on a page. So a notebook typically is only 75% full after a year. We’ll see how far the 192 total pages will take me. One last thought: I’ve used the Techo cover for my Hobonichi and the difference between it and my Confidant are obvious. The muted white clothing covering of my Confidant is best described as “grungy” at this point, especially the corners. I’ve considered the Guardian, but have decided the darker cover for the planner should take the beating of the year with more grace than the Confidant. What’s going to be in your bag for 2016? I’d love to hear what other people are using!